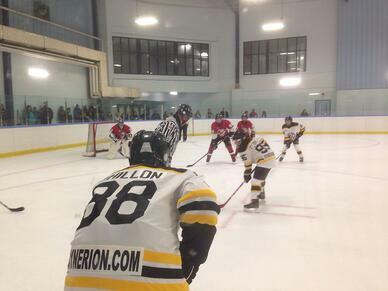 The Brampton Bantam Bears are back for another season! Our very own Mark Patte who is a solutions consultant here at Synerion is entering his 10th year as coach for this hockey club. Synerion is happy to announce its long-standing relationship with helping this local hockey club. Synerion's donation helps the team with gear, travel, ice fees and other items needed to make for a successful hockey season. This is just one of the many avenues Synerion chooses to give back to the community, whether its donating to a toy drive, or providing students and teachers with school supplies. Synerion is committed to helping children and shaping the feature leaders of tomorrow.